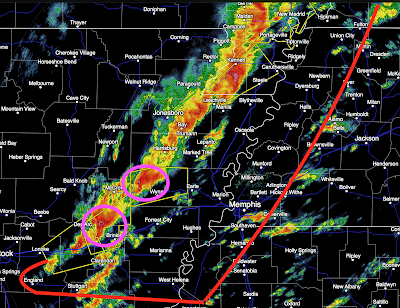 Radar at 1:49pm shows the line of thunderstorms in eastern Arkansas to southeast Missouri. 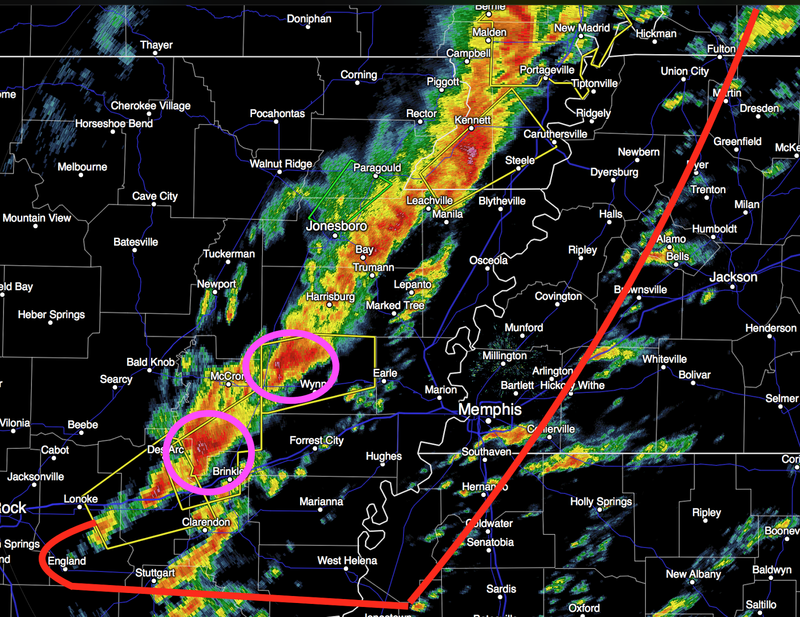 I believe the cells circled in purple need to be watched closely. The situation is one where I believe tornadoes are going to become much more likely from 2pm to 6pm in the area I've outlined in red.